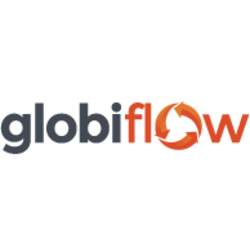 GlobiFlow is a workflow management software designed for Podio users. It lets users visualize data, enforce compliance policies, assign projects, automate tasks, and more. In this article, we covered GlobiFlow reviews and pricing. Ready to get started? Visit its website. GlobiFlow pricing is included in Podio’s premium plan. Podio Premium costs $24/user/month. If users opt for annual billing, the discounted price is at $19.20/user/month. Ready to get started with GlobiFlow? Visit its website. Users who gave GlobiFlow a positive review commended its workflow builder tool that enables them to easily automate repetitive processes. They also said that its time-based workflow tracking and document management tools are helpful in streamlining their daily tasks. One user who gave GlobiFlow a positive review on GetApp commented that its time and date-based rules allow her to effectively schedule and automate tasks. She also mentioned that its document management feature lets her quickly organize and share files with her team. Users who gave GlobiFlow a negative review complained about its steep learning curve and lack of intuitive search filters that delay them from moving forward with their pipelines. They also reported that its customer support team isn’t knowledgeable enough about the software. One user who gave GlobiFlow a negative review on GetApp suggested a more simplified program that doesn’t require any coding knowledge. He also recommended improvements on its customer support team’s responsiveness. How does GlobiFlow help users automate repetitive processes? GlobiFlow provides users with a workflow designer that uses triggers, filters, and actions to simplify tasks. It also lets them create and update items, assign tasks, send emails, and more. Can GlobiFlow provide users with visual representations of data? Yes. GlobiFlow provides users with a reports widget that turns data into charts, graphs, gauges, and more. It also allows them to insert the visualizations into any presentation or PDF. Have you read these GlobiFlow reviews and are still not sure if it’s the right fit for you? 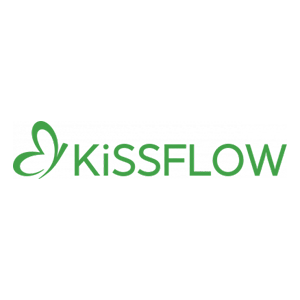 Read our reviews of all top workflow management software or check out one of these three GlobiFlow competitors. The company does only one thing & it does extremely well. Globiflow helps in Automation for Podio saving tremendous number of man hours for any business. Globiflow has allowed Podio to expand to a whole new level, thus allowing customers to automate their business processes, emails, etc. I would highly recommend it for someone who uses Podio. If you are using Podio you have to use Globiflow, its a must. There is a big limitation on globiflow sharing, Podio’s API hourly rate limit with all customer. To a certain extent you cannot scale beyond 1000 or more item updates per hour. You are then forced to find ways to alter your flows or use throttling etc. If you suddenly become a power user of globiflow you will come across this hurdle. I found out about globiflow even before it was a internal part of Podio & Citrix umbrella. It was a startup and an extension for podio then, but once I used it I figured out the potential of globiflow for Podio. We knew that the this product will be bought by Citrix somewhere down the line, it was inevitable. Citrix had to buy it as that tells you how well built the product is for Podio fitment. Globiflow really makes podio into a tool you can use for almost anything. It saves tons of time and automates processes that would take staff much longer to handle manually. Without it, Podio is nice, but not a full-featured solution. The logging and error messages sometimes leave something to be desired. I’ll get errors like ‘search field empty’ when I know it’s not, and there’s no way to see the actual data globiflow used to produce the error, just just a general log for the process. Nothing. I think almost every problem i THOUGHT couldn’t be solved could be solved — perhaps by an arcane, but easy, workaround — once I asked support. So use the support forums within podio (for globiflow users) and you’ll be all set. Above all else, the community and support are unmatched to the point that if I expressed myself honestly -It would read as a paid review. The devs listen to the users requests and implement them quickly. This is a great business model that any company should take notes from. The learning curve is rough if you don’t have any programming experience. Fortunately, GF is targeted to fellow devs so I don’t think that’s much of an issue for them. I don’t have anything bad to say about Globyflow. I wish I would have known how much time the program was going to save our company. I would have signed up much sooner.